Give each student a bookmark to use across all subject areas. 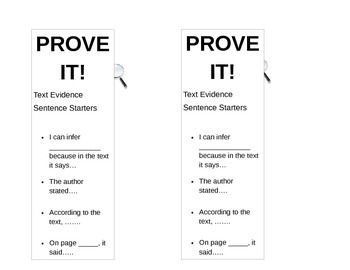 With the new CCSS it is vital that students use text evidence and this bookmark provides them with starters to ensure they are reverting back to the text for evidence. Remember, tell the kids they are detectives and their evidence is the only way to solve the case!